The entry model Octavia Ambition includes Adaptive Cruise Control, SmartLink smartphone connectivity with Apple CarPlay® and Android Auto™, 7 airbags, ESC with Multi-Collision Brake, Green Tech including engine start-stop, 17" alloy wheels, air conditioning, 6.5" touch screen Bolero radio, 3-spoke multi-functional steering wheel, rear view camera and rear parking sensor as standard. We believe the sum of the parts is as great as the whole. Nowhere does this apply more than with the award-winning ŠKODA OCTAVIA - a car that’s as easy to love as it is to justify. Not only is it compelling to look at from every angle, but once inside, its connectivity and driver-assist features, plus its host of technological treats, ticks every box for the 21st Century driver. 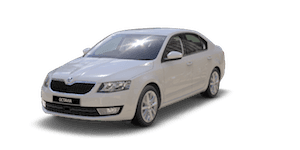 And as always, ŠKODA’ s Simply Clever features puts the OCTAVIA in a class of its own. The last thing we want to happen to you immediately after an accident - is another accident. Electronic Stability Control (ESC) helps you maintain control of the car if it begins skidding, while Multi-collision Brake activates the braking system to help minimise any further collision. Prefill Braking is a safety feature that anticipates your next step — literally. 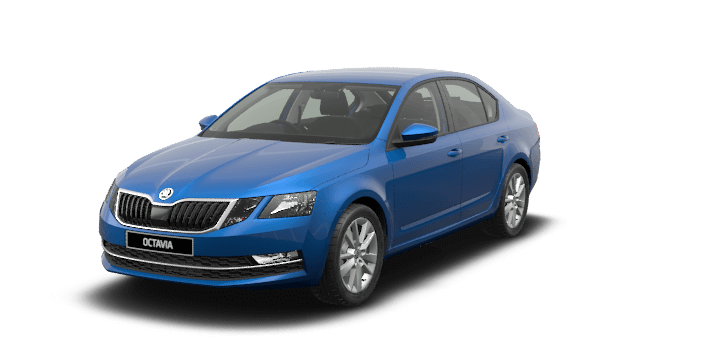 The OCTAVIA can recognise when you may be about to brake sharply and prepares by ‘prefilling’ the brake hydraulics with fluid. It also brings the brake pads closer to the discs, helping you stop safer, sooner. Some forward thinking for when you’re going backwards. A Rear View Camera+ Rear Parking Sensors, standard across the OCTAVIA range, help you back out of your driveway with peace of mind and tackle those tricky reverse parks with confidence. + Safety technologies are not a substitute for the driver’s responsibility for the vehicle. The OCTAVIA is packed with features for a rainy day. Light Assist automatically adapts to changing light conditions, while the rain sensor adjusts the speed of the wipers depending on light or heavy rainfall. Available as part of the Tech Pack. We hope you never need the seven airbags that come standard in every OCTAVIA. They’re located at the front, front side, curtain, and driver's knee area.ï»¿ There is also a total of nine airbags available with the Luxury Pack. As you get to know your OCTAVIA, it gets to know you, too. Driving Mode SelectionΔ adapts engine torque, accelerator sensitivity, power steering, headlight control (where AFS is fitted), DSG transmission, and air conditioning to your preferences, across four driving modes — Normal, Sport, Eco, and Individual. *Safety technologies are not a substitute for the driver's responsibility of the vehicle. If you’re after trip information, the OCTAVIA puts it all on display. Enjoy a colour multifunctional display system that provides additional vehicle information including everything from oil temperature to phone, audio, Driver Assist Systems and navigation data.